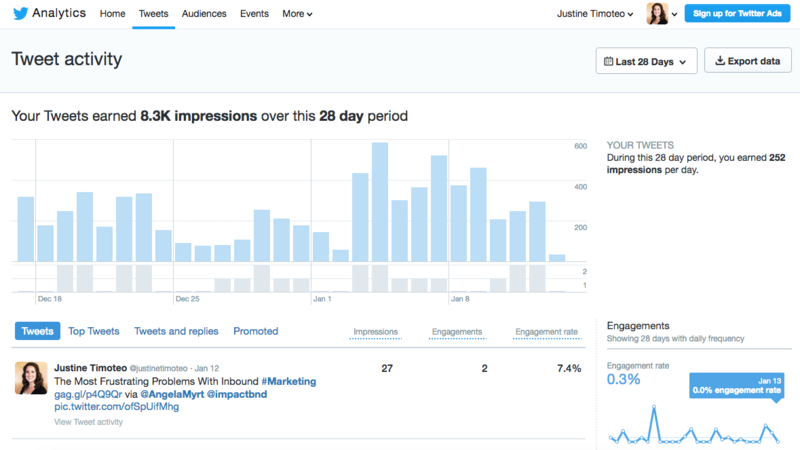 This was back when inbound marketing was first starting to make waves and Twitter was only a few years old. So, I understood their confusion on not grasping what inbound marketing entailed and how social media played a role in it. But even years later, social media is still a large question mark with most B2B companies. Many don’t see the value in it and all too often refuse to allocate resources towards it. The truth is, social media can provide a huge value in acquiring new customers when used strategically. In this article, we'll go back to the basics and truly understand how to build a social media following, but there's one thing we have to be clear about before we get started -- social following is almost always a vanity metric. A vanity metric is a flashy number that sounds and looks impressive, but ultimately says nothing about the bottomline of your business (i.e. your profit, revenue, etc.). 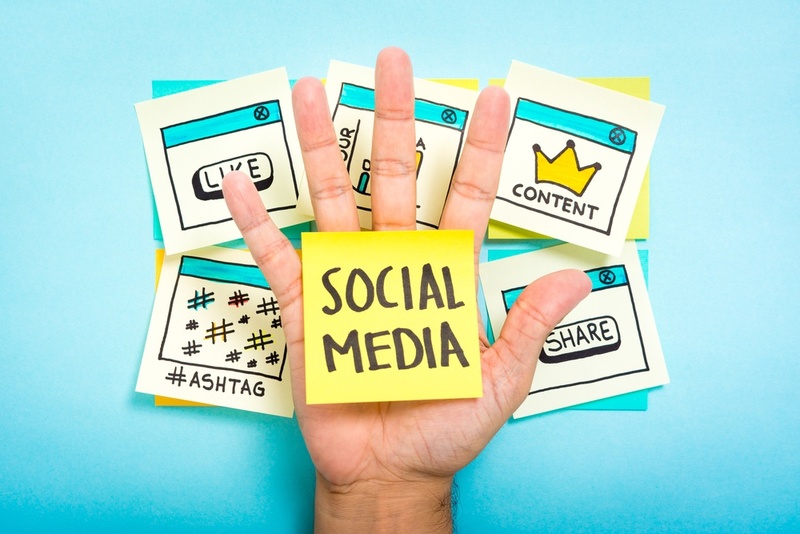 While it can be exciting to have a ton of "likes" on Facebook or see millions of views on a YouTube video, if your business' goal is not solely building brand awareness or perhaps driving traffic, a social media following may not be a top priority for you. First things first, understand that just because there is a social network, doesn’t mean you need to be marketing on it. You need to understand what the platform really does, how people use it, and determine whether it makes sense for your business to have a presence. Which social media platforms do your buyer personas truly use? Your brand should live where they live so you have a better chance to connect and engage with them. Having great content on Twitter and a highly-active presence means nothing if your buyer persona isn’t hanging out there. To help you decide, let’s take a deeper look at the four largest social networks as of January 2017. Facebook is still the social media powerhouse with nearly 80% of all internet users (68% of U.S. users) engaging with the platform, but did you know the fastest growing demographic on the platform is not the Millennials that started it, but rather their Baby Boomer parents? Of those aged 65 or older, 62% use Facebook. 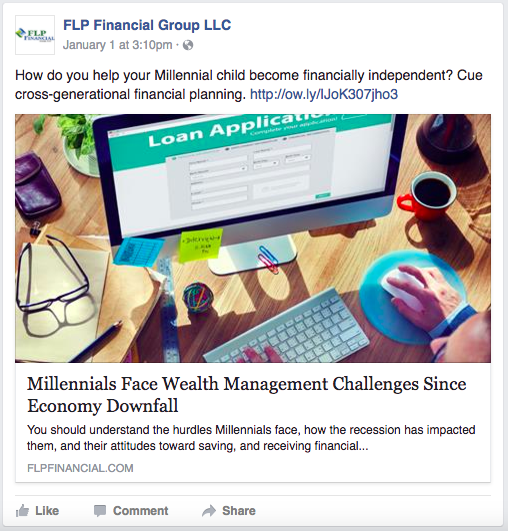 So, if you’re a wealth management firm marketing to people approaching and starting retirement, Facebook is the place you will want to be. Although your audience may not use Facebook in a work capacity, statistics prove that they are most likely still using the platform -- possibly as a distraction during work. Creating an ad that speaks directly to your target audience, whether B2C or B2B, will encourage them to click and engage with you. But more on ads later. Consider this fact: YouTube is the second largest search engine with more than 3 billion searches a month. With video continuing to surge as a preferred form of content, it’s no surprise that YouTube is the third most-visited site on the web. Do you have “how to” information or tutorials you can show? Create a video and share on YouTube! YouTube’s popularity has only increased with its inclusion in both Google’s web and video search (the platform is owned by Google, after all). Having an active channel on this platform can only help you acquire followers and traffic to your site. Despite its recent troubles, Twitter still has an audience worth reckoning with. One of the fascinating things about Twitter is its real-time appeal and international reach. The platform supports 40 languages and 79% of accounts are based outside of the United States. Global brands can take advantage of this to create excitement about upcoming product or service launches. 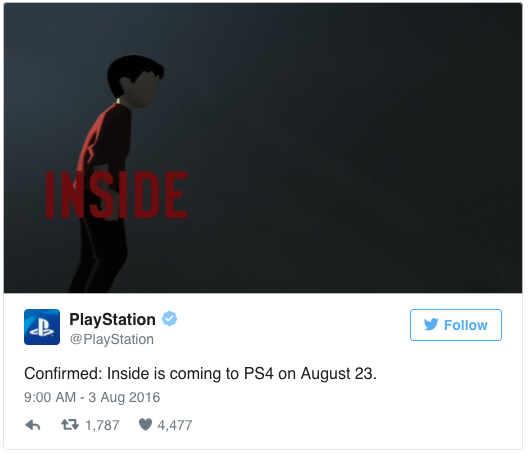 Playstation announced the release of a new game and quickly garnered 1,800 retweets and 4,200 likes. “Social media for professionals.” That’s how most people describe LinkedIn and it does make sense seeing as 80% of marketers use LinkedIn for professional purposes. Talk about a B2B marketer’s dream. You can connect with people in your target industries (even as specific as to target companies you want to work with) and market to them directly. Or, as you’re looking to grow your business, you can use LinkedIn to recruit quality talent to hire on at your company. Trust me, it works -- LinkedIn is how I landed my job here at IMPACT. Though these are the four most prominent, there are plenty of other social media platforms you can consider for marketing your business as well, including Pinterest, Snapchat, Instagram and more. Just make sure to do your research and make sure that it is somewhere your ideal prospects are frequenting. Choosing the right social network is the first step to building a strong presence and following there. Now that you’ve determined where to build your profiles, it’s time to do so. This seems like a trivial point to make but having complete profiles is necessary when trying to attract a good following. Pretty much every social media platform has a summary area, profile picture, and cover photo where you can enter and showcase information about your business -- take advantage of this! Give users sneak peeks into what your company provides, but make sure to keep your branding (visuals and voice) consistent with who you are and what you provide. Although, building out profiles shouldn’t be siloed to company pages. Depending on the network, each of your employees should have completed profiles so they too can share company news, industry insights, etc. Think of the increase in reach you can have by establishing an employee advocacy program! As every employee becomes a brand advocate for your company -- sharing content across their personal platforms -- you have the potential to reach all of their followers and connections as well. 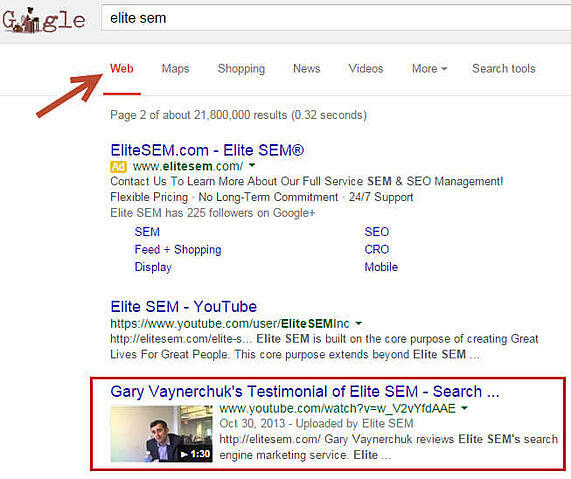 Something you should consistently be doing in marketing is analyzing your competitors. And that stands true for social media as well. What networks are they active on? What kind of content are they sharing? How often are they sharing? Understanding your competitor's social media engagement will help you establish a roadmap of what you should be doing as well. Connecting with industry influencers is going to be a huge tactic in social media strategy moving forward. These companies or individuals are the thought leaders in your industry that your customers and target audience are following. Tap into the resource! Follow industry professionals from content that you read or watch and share with your audience. Chances are, your followers have the same interest as you. Do you attend annual events or conferences? Look up the speakers and connect with them on LinkedIn and Twitter. Start having virtual conversations about the event or tweet that you’re excited to be learning from them. If the speaker engages with you (which he or she should), then you may be mentioned in a post that reaches all of their followers as well. Or, tag your favorite influencer in a post and ask your followers to chime in on their go-to thought leaders as well. It will open the door for engagement and conversations with your audience. The most basic and useful way to build your following! Sharing quality content for your audience members will help establish your company -- and personal brand -- as a thought leader within your own industry. Connect with your audience in real time by utilizing live video. Studies have shown that people spend 3x longer watching live videos than pre-recordings. Take advantage of this emerging trend and speak directly to your followers! If you’re only sharing your own content then you’re not doing it right. Best practice? Follow the 70-20-10 rule. In this practice, the content you are sharing should be adding value and building your brand 70% of the time, should be others’ posts and ideas 20% of the time and should only promote yourself or your business 10% of the time. Only 10% of your content on social media should be self-promotional. Why? Because this enables you to build trust with your followers and provide them with truly valuable content and information. Would you follow a company that only blasts you with promo offers all the time? Probably not. Knowing when you should post on your social media sites may take some time. However, there are some general rules you can use when first getting started. For instance, Buffer found that engagement rates are higher 18% of the time when posting to Facebook on Thursdays and Fridays. Each of your platforms provides you with insights and analytics that you should be measuring over time. Create a sharing schedule for each platform and see when your posts receive the most engagement. You can determine the day, time, and type of post to share to best reach your audience. The more they are engaged with your posts, the more your content will appear in other newsfeeds -- expanding your reach. Now that you’re up and running on social networks, it’s time to take things one step further. Organic views in social media are becoming increasingly difficult to achieve. Why? Because the platforms are smart and want you to pay to play. Social media advertising is one of the most cost-effective ways to engage with a new, targeted audience. There’s a reason why 92% of social marketers are using Facebook advertising. Because of the vast number of people using the network, you have a good chance of reaching users whether you are trying to target internationally or to a smaller, local region. Furthermore, the factors you can specify to target is remarkable. Facebook partners with third parties to bring the best targeting capabilities I’ve seen to date when it comes to social advertising. Meaning, you’re not limited to targeting users solely based on their Facebook engagement and specifications. Facebook’s advertising goes beyond targeting the common factors like gender, location, age, and job titles. You can get as specific as targeting people based on their life events (like those that recently got engaged), finances, politics, purchasing behaviors and more. 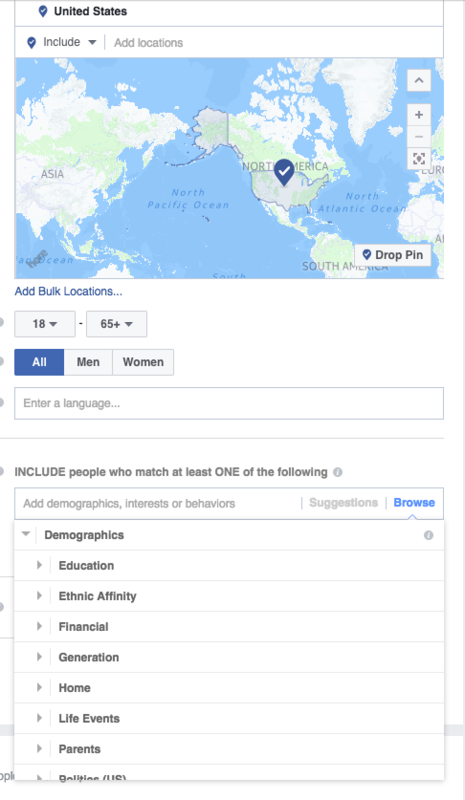 Facebook allows you to take into consideration a seemingly endless amount of targeting capabilities within a user’s demographics, interests and behaviors. Plus, now that Facebook owns Instagram, you can specify your ads to also appear on that platform as well. As I’ve previously mentioned, LinkedIn is the go-to social media platform for B2B marketers. Though you don’t have as many factors as Facebook, LinkedIn advertising can get pretty specific when building a target audience. One feature that LinkedIn recently rolled out is Sponsored InMail. This is in additional to ads that can appear in the newsfeed of a user’s homepage and text ads that appear on the sidebar area. Sponsored InMail allows you to send personalized messages to prospects to help reach members when they are most engaged. Your message is delivered to a specified target audience you build and sent only to members that are actively engaged on LinkedIn. Choose to send an introductory message about your business, a recently published resource or offer a free trial to your product or service. Following the above steps will certainly help you build a strong social media following. Don’t forget, “followers” is just a vanity number. Once you build your audience, you need to engage with them. Like posts you’re mentioned in, answer questions when asked and reply to comments made about your content. Social media is meant to be social! Continue to engage with users and chances are you’ll not only see an increase in followers, but in customers too. 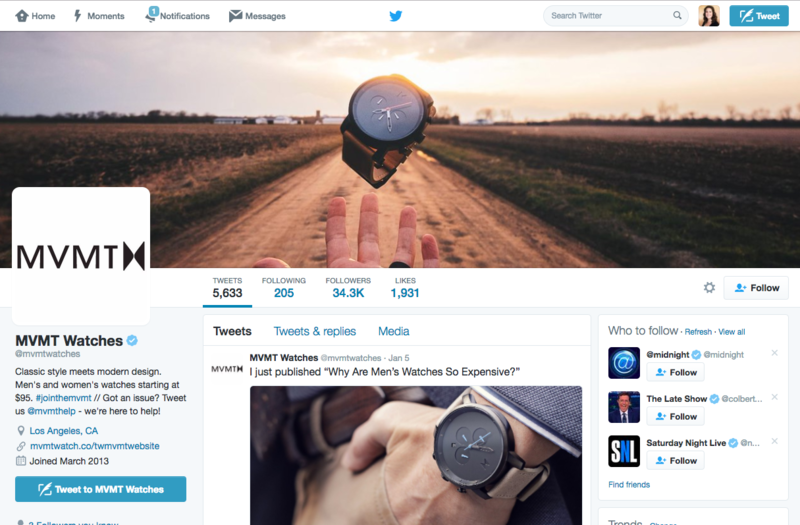 Some brands have even become famously successful for engaging with their followers and customers. Take JetBlue for example. 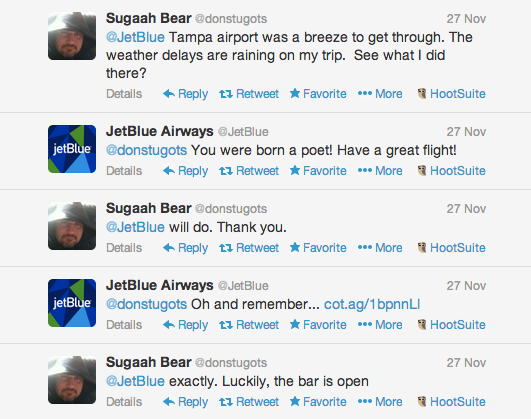 The airline regularly engages with its followers on Twitter, even making flight delays a little more fun. Still struggling to see the value in social media marketing? Then it’s time to Tune Up Your Social Media Marketing with this free guide! What tactics do you use to gain quality followers? Share with me in the comments below!